Rhinebeck Choral Club Spring 2019 Concert! Admission is FREE - donations welcome. 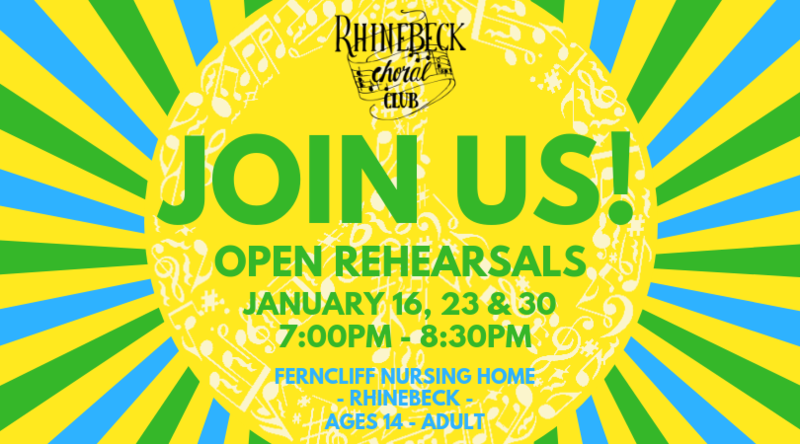 Rehearsals are held Wednesday evenings at the Ferncliff Nursing Home @ 21 Ferncliff Drive in Rhinebeck NY. We are excited to be moving our rehearsals to the new time of 7:00pm-8:30pm.